With more than a dozen subdivisions in Arrowhead Ranch, the entire community is seamlessly integrated to ensure that prospective residents are able to find the perfect property across a wide spectrum of architectural styles, floorplan designs and price ranges. Arrowhead Ranch homes for sale are built with your needs in mind. From budget-minded families purchasing their first home, to retirees seeking a private sanctuary to call their own, homebuyers will find a subdivision in Arrowhead Ranch that has been engineered to effortlessly meet their every need. The collection of neighborhoods known as Arrowhead Ranch is actually an assortment of several distinct master planned communities, but permanent residents and annual visitors alike consider the Glendale district to be one of the most vibrant in the entire Valley. Each of the subdivisions in Arrowhead Ranch provide convenient access to the Loop 101, are minutes away from the world-class retail shopping opportunities found at Arrowhead Towne Center, along with several parks, swimming pools, nature preserves and other attractions. 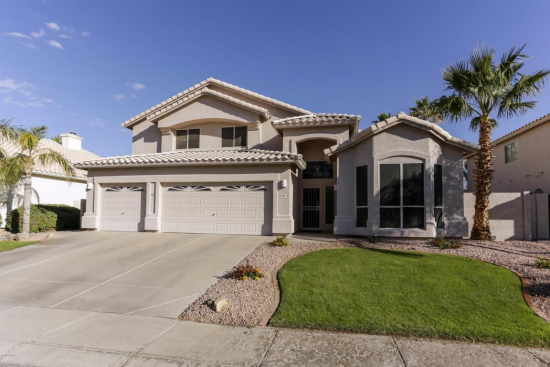 There is sure to be several Homes for Sale in Arrowhead Ranch that will fit your every need.